Doctors Academic Society of Singtam Hospital (DASSH) is now all set to organize ‘Run with Doctor for TB Free Sikkim’ in a grand manner on November 25 next to create mass awareness among general public on tuberculosis and stigma and discrimination related with it. A total of 670 runners from different walks of the life have already registered themselves for the run and more are likely to join the run. This 14 km run will be flagged from Singtam District Hospital complex and runners need to run upto Mazitar and then back to the starting point. 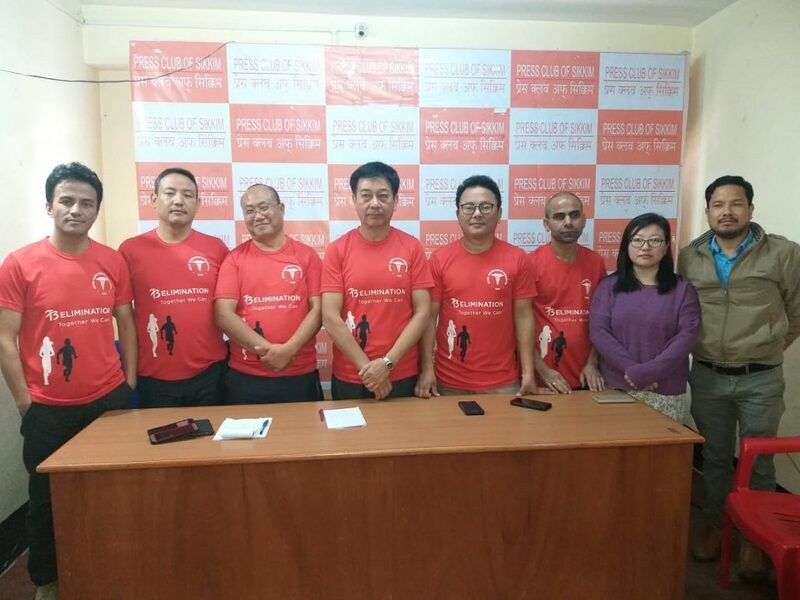 A DASSH member, Dr Mayal P Lepcha mentioned that the organization was all set to organize ‘Run with Doctor for TB Free Sikkim’ in a grand manner to create wider mass awareness on TB. She informed that 760 runners from different parts of the State including doctors and members of medical fraternity, students, members of different sports associations and other have registered their names so far for the run and more were likely to join. Dr Lepcha stated that DASSH was formed in 2015 with an objective to continue medical education and keep update knowledge of doctor fraternity. She added that the organization has also been organizing free medical camps and other socials works and giving platforms to young doctors to showcase their talents and skills. Dr Lepcha thanked the Chief Minister Pawan Chamling for his vision and initiatives to make Sikkim TB free. She added that this event was an initiative towards the vision of the Chief Minister. Likewise, State TB Officer, Dr DS Kerongi mentioned that Sikkim has total of 1360 TB patients at present. He added that although the numbers looking very less in the national level but it was a serious issue as per the population of Sikkim. He also said that Sikkim has more MDR cases and it has been mostly affecting the productive age group. He added that TB was a serious concern and everyone needs to work in the better coordination to control and to make Sikkim TB free.